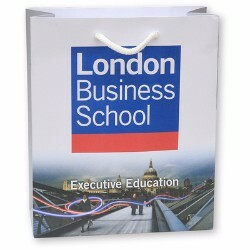 Luxury Paper, Rope Handled carrier bags represent the ultimate in carrier bag branding. A highly elegant style, results in a bag that is often as coveted as the items it carries. 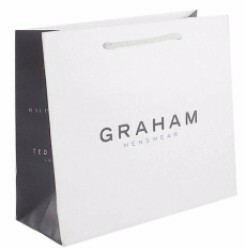 The bags are constructed from a luxurious 185gsm White Art Card with reinforced top & base, hand finished with knotted rope handles in a wide range of colours. 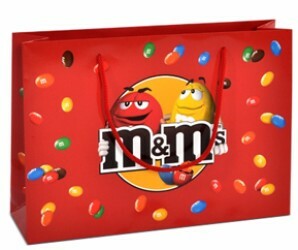 Ideal for exhibitions, product launches, and high class marketing campaigns. 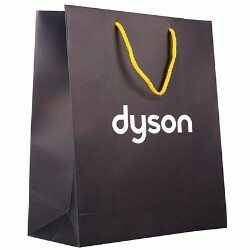 Bags are finished with Gloss or Matt Lamination to further enhance the quality feel.